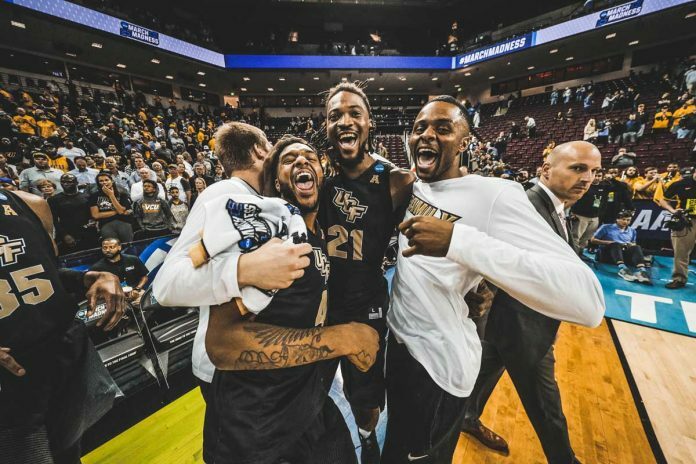 The 9-seed University of Central Florida defeated the 8-seed Virginia Commonwealth University73-58 to make history for the program and advance in March Madness. Senior center Tacko Fall stole the spotlight with five blocked shots, 13 points, and 18 rebounds. Fall is the first player to earn a double-double in program history. VCU and UCF combined to go 1 for 20 in the game’s opening but the Knights would break away to score more than half of their first-half finish on the next ten shots. UCF held a ten-point lead 34-24 by halftime. When the second half came around, UCF scored 19 unanswered points and created a 10-minute drought for VCU – all the while, 7-6 center Tacko Fall spelled trouble for VCU’s offense and rebound game. When the Knights face the Blue Devils, UCF head coach Johnny Dawkins will play against his former head coach Mike Krzyzewski as a player (1983-86) and as an assistant coach (98-08). UCF (24-8) will play Duke (30-5) in the second round on Sunday at 5:15 p.m. at Colonial Life Arena in Columbia, South Carolina.